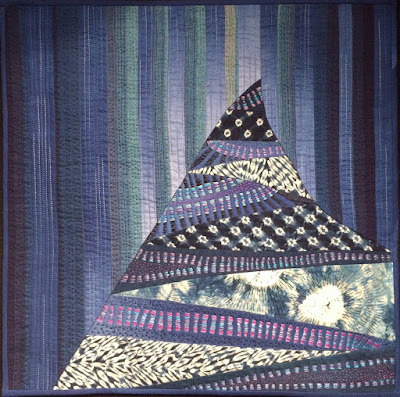 In April last year, Aotearoa Quilters were invited to take part in an international quilt challenge organised by a group in Japan and including quilters from France. The idea was to have an overarching theme and 30 sub themes. There would be 30 quilters from each country participating, each making a 50cm x 50cm quilt interpreting the sub theme they had been given. 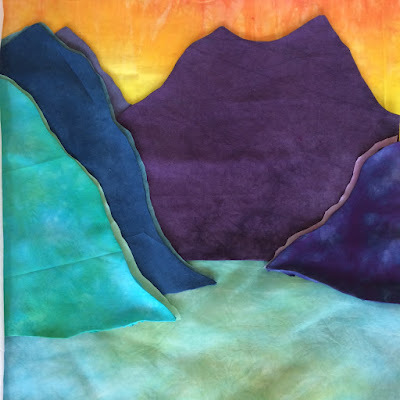 The challenge theme was 'Wonders of the World' and the sub themes were places like Aoraki Mount Cook, Great Barrier Reef and the Northern Lights. In the end there would be 90 quilts, with one from each country for each sub theme. I was able to take part, and although my first pick (Moeraki Boulders) had already been snapped up, I got to choose Fjords. Although this was meant to be Norwegian fjords, I felt a resonance with that theme because of the fiords (spelt without a j) we have in NZ. 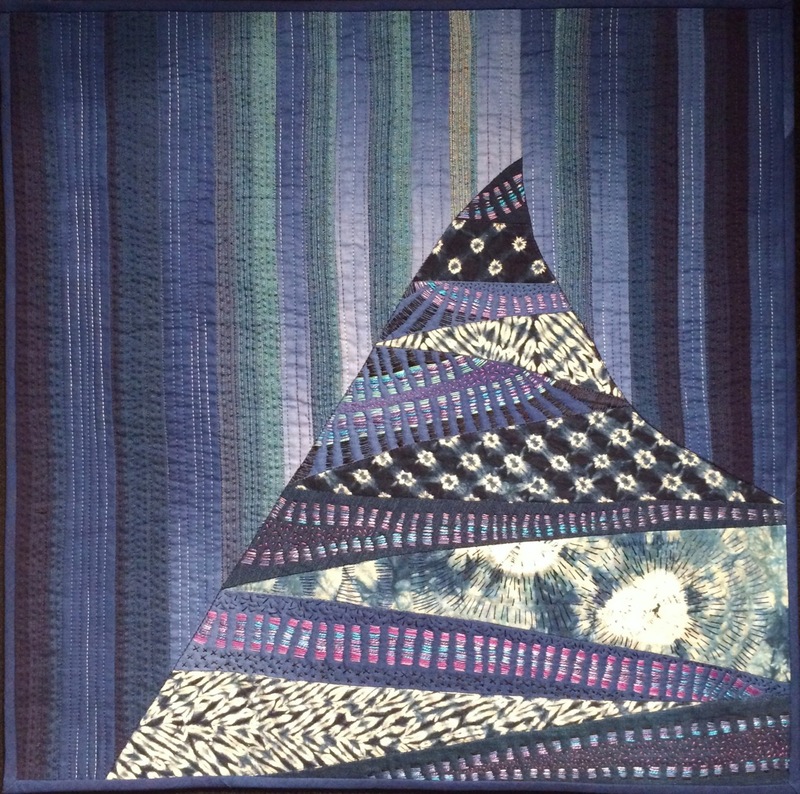 The quilts travelled to Japan first and have toured several different venues there. Now they are in New Zealand before they head to France, and I hear they will be in the UK as well. I got a chance to see them in Wellington and was super impressed by the impact they made all together and now I hear they'll be coming to Whangarei - just down the road! 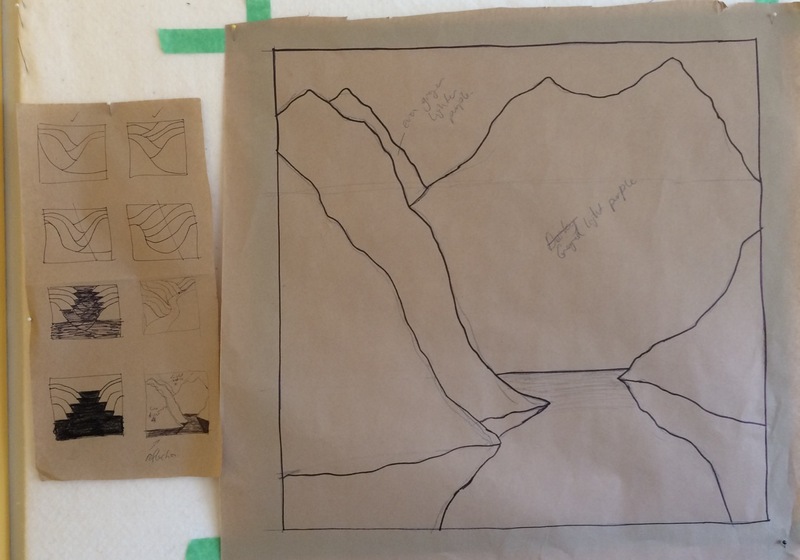 I thought I'd show you some of the process that I went through to get from theme to quilt. Before I began I did a lot of research, looking at different types of fiords, u shaped valleys, images from fiordland and learning about how fiords are made (glacial activity). I started by making some thumbnail sketches, you can see them to the left in the photo above. 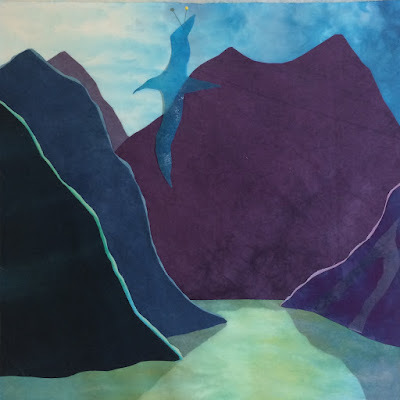 The most important concepts that I wanted to convey were the impressiveness of the landforms and the sense of awe I had when I visited fiordland and Milford Sound a few years ago. So I knew the fantastic shapes of the land had to be the focus and I wanted a quiet quality to the quilt too, which I thought I might be able to get through the colours. 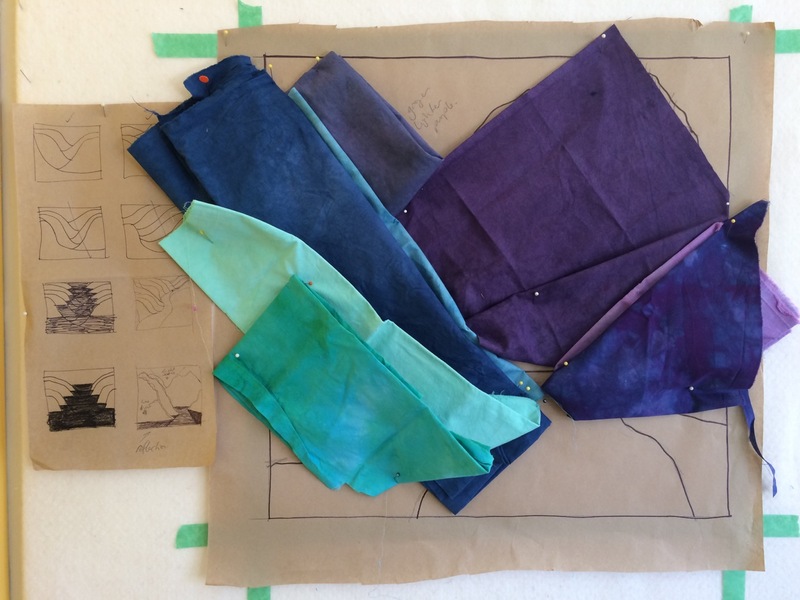 Once I had the sketch I wanted, I drew an accurate sized pattern and then I auditioned fabrics from my hand-dyed stash. When I had the colours I wanted, I pinned them up in an approximation of the final layout on my design wall so I could stand back and get a proper look. I cut out a freezer paper copy of the pattern and used the pieces as templates. The hills have a turned under edge, but the little shining edges are raw edge. I auditioned quite a few fabrics for the sky. I wanted a sense of light to be coming from behind the hills, so it took me a while to find the right sky and to get a feeling of light and shadow on the water. I achieved the shadows and the water with layers of silk organza. Bird life is important to me and a constant feature of my quilts, but I also wanted a bird in this quilt because fiords are a rich habitat, both here and in Norway, with many diverse species making them their home. I chose a heron in the end, because it's a bird that can be found in both countries. 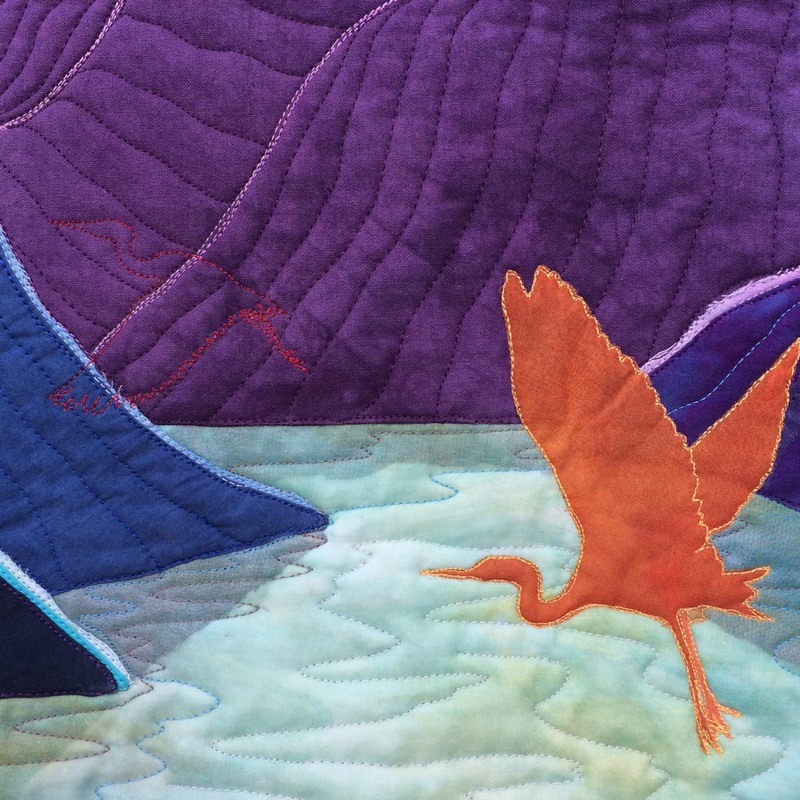 I also quilted in a couple of 'ghost' herons when I was doing the quilting. I was thinking about indicating the loss of habitat and decline of species that we face all around the world. 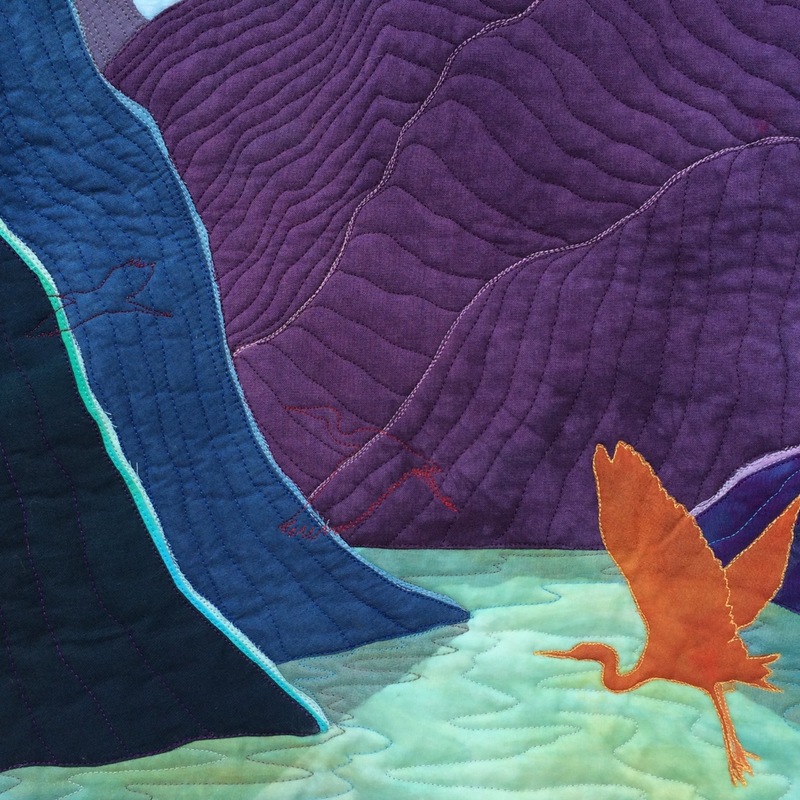 I also like to put something subtle into my quilts that the viewer has to be paying attention to find! So if you are anywhere near Reyburn House in Whangarei between 19 June and the 1st July, I urge you to go and see the show. 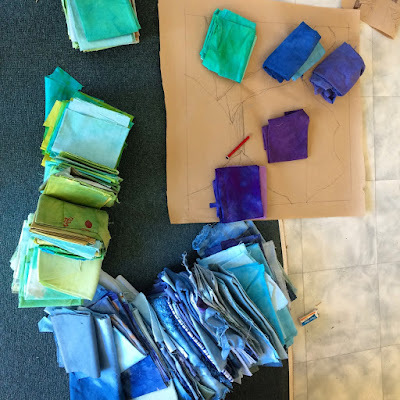 It's fascinating to see the different styles of quilting from the different countries and to see the three different interpretations of each theme. 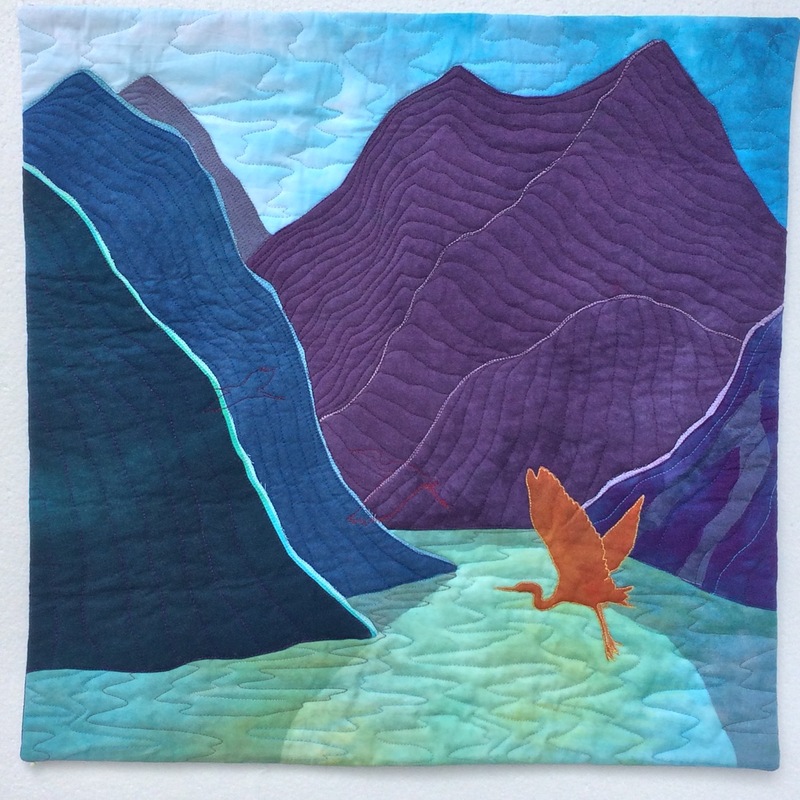 I'm including a photo of the fjord quilt from Japan so you can see what I mean. A stunning piece of Art!! Thank you for sharing your process here. Thanks! Sorry that I haven't replied by email. You might know that there are issues with Blogger and receiving comments via email, but I'm trying to make the work around work! 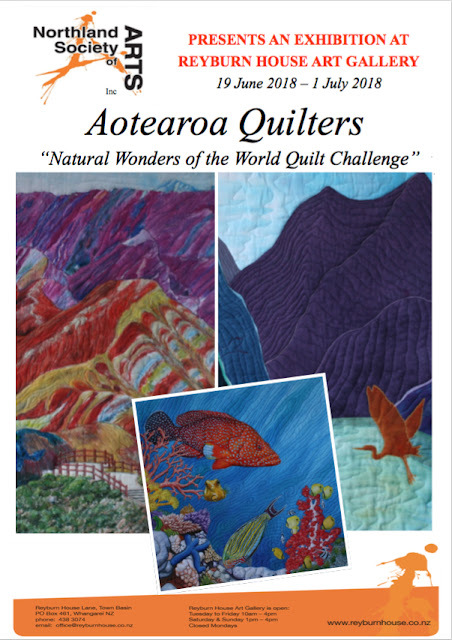 I was lucky to be in Dunedin when it was on show there and I swear I found a new favourite each time I turned around - every quilt was exquistitely made, such talented people! I loved yours (having been to Milford Sound many times, and Doubtful as well) - you certainly have captured the grandure of those mountains rising up from the waters. Me too! Every time I looked I saw new details that I hadn't seen before. Thank you for your comments on mine in particular! Sorry that I haven't replied by email. You might know that there are issues with Blogger and receiving comments via email, but I'm trying to make the work around work! Hi, What a wonderful challenge! 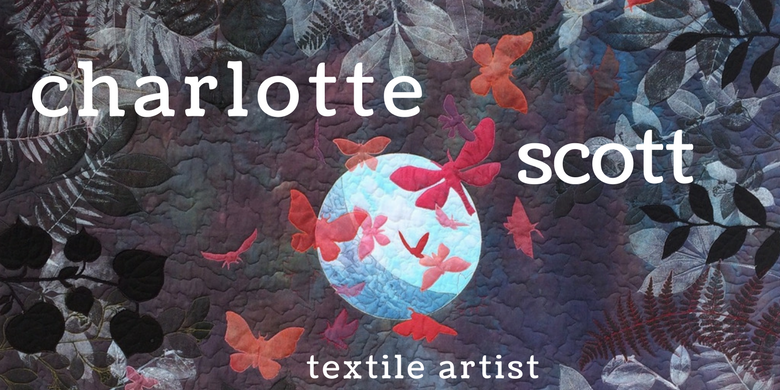 Hopefully the quilts will be at our next big quilting event at the N.E.C. Birmingham for the Festival of Quilts, in which case I may get to see them as i am planning to visit the show. Ill certainly be keeping a look out for them. Hi Lorraine, Thanks! Sorry that I haven't replied by email. You might know that there are issues with Blogger and receiving comments via email, but I'm trying to make the work around work! I know they are heading to France and the UK but not sure of the exact locations. I hope you get to see them!